Add a stilt walker to your child's party and see faces of delight all around you. 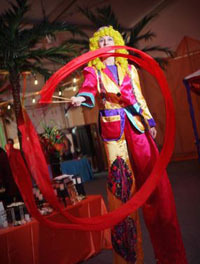 These unique entertainers add something very special to any party or event with their precision and skill. Be the talk of the town with the inclusion of these exciting performers.